24 players go in, one winner comes out. Last Man Standing is here! Head to world 317, 321 or 326 (F2P) to play! Last Man Standing is a survival minigame in which your only goal is to compete against 23 other players to be the last alive! 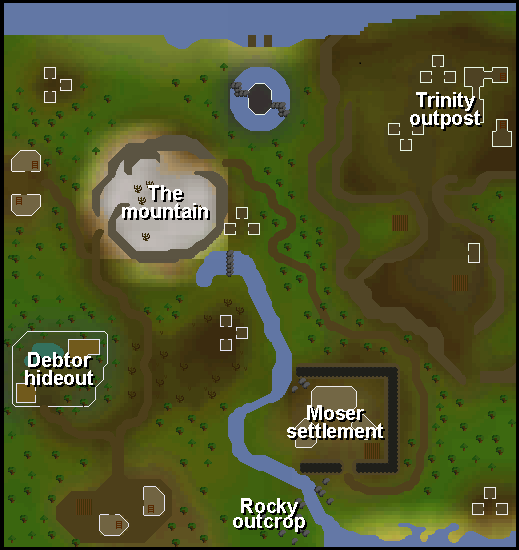 Talk to Lisa, found just east of the Clan Wars bank, to get started with the minigame. Once you've spoken to Lisa and she has run you through the basics, you'll be able to jump straight into a game. During a game you'll be taken to an arena with no gear and maxed stats, from there your only goal is survival! Search the arena for gear and supplies and take out your competitors. Escape the deadly fog and be the last alive to win! There are two versions of Last Man Standing to choose from: casual and competitive. Casual is a risk-free version of the game mode played for fun. You'll be able to practice the minigame and get to grips with its different elements without having to put any money on the line. Competitive is a risky, rewarding version of the minigame. There is a 100k entry fee and a 1.5m prize for the winner. Players in the top few runner up positions will also receive a smaller prize. Using a Bloody Key now heals the player to full Hitpoints. A small number of items have been added to the store. All items have been assigned a value to appear in a better order when a player dies. Players are no longer able to drop items above a certain value to ensure the Player who kills them, gets the valuable items. Packs can now be sold to the shrines. The Redemption prayer has been disabled. 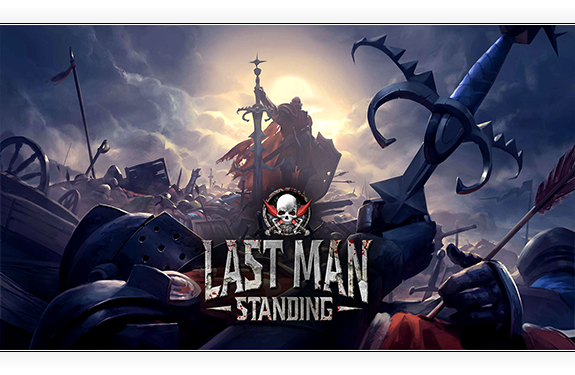 Over the next few months we will continue to take on board any feedback on Last Man Standing and make tweaks where necessary, as well as expanding on the minigame. Later on in 2016 we'll be releasing additional maps to the minigame! We're aiming to use existing areas of the Old School world to give the minigame a bit more of a nostalgic twist. We will also be running a player design competition for a new map. If you've got some creative ideas, keep an eye out for the details of that competition coming your way in the near future! You can also expect to see some high stakes weekends in the coming months. One of the Last Man Standing worlds will be temporarily selected to have a 1 million gp entry fee and a pay out of 15m to the winner! We've got plenty planned for the future of Last Man Standing - expect to hear more about what we've got planned soon! A new spell is now available on the Lunar Spellbook: flax to bowstrings. This spell does exactly what you might expect - turns 5 flax into 5 bowstrings per cast, costing 2 nature rune, 1 astral runes and 5 air runes. The spell requires level 76 Magic to use. Xeric’s talisman has had a teleport added, ‘Xeric’s Heart’ which requires completion of the Architectural Alliance miniquest. Mystery boxes from Random events now have the chance to give easy, medium or hard clues, as well as a Stale Baguette. Major improvements have been made for the walls of the Catacombs to reduce graphical issues while players are in the dungeon. Multiple items have been adjusted to no longer stretch when certain actions are performed. Separating the heads of the KBD is now a rightclick option. The text when entering/exiting the Legends' guild is now filtered. There is now an option to cancel spellbook swap when trying to revive an already once revived plant. Corrected the requirement for the Black axe in the woodcutting skillguide. Stuffed heads can now have their stuffing removed. Nice Thanks again for doing beta testing on this. Please do more in the future? It gives the community a chance to feel like they're a part in shaping content. How is the search for a Java Engine Developer going? Is it possible that the interview(s) will take place the forthcoming months? Also, how likely is it that this person would be experienced enough to work on the game interface e.g. zoom-in/out minimap and/or extendable chatbox? Achieved 2277 total on August 5th 2014. Woot nice update jagex. Love you all. any idea when aussie servers are coming? you's said early august!